It has been over 16 years since Nas released his classic album “Illmatic”. In 1996 he showed that he would not flop as a sophomore with the release of another classic LP “It was written”. Since then, purchase the critics have been waiting for another solid Nas album. We all know what Nas can deliver lyrically and no one has ever doubted his love for the craft. Yet, treat sometimes his albums leave us feeling a little cheated. For example, mind the “Street’s Disciple” album would have been ok if it was a single CD instead of a double disk. If he would have let me sort through both albums and pick the best 12 tracks maybe it would have been a success. Also, the “Nastradamus” project which started off great with a poem from Jessica Moore, quickly turned into a symphony of polyphonic keyboard beats and boring hooks. I must admit that the lyrics on his 2008 release “Untitled” were some of the most creative verses he has ever assembled for an entire project. Yet still, the production was shaky at best and there was even a beat on there without any drums. In the words of Ed Lover “C’mon Son”, you kind of need some type of drums in hip hop nowadays. On a good note, the latest project with Nas and Damien Marley “Distant Relatives” boasts as the best of both worlds. I prefer it much more than Jay Z and R. Kelly but that’s another article for another day. Due to the heavy Reggae influences on the production, Nas did not get the opportunity to butcher the beat selection on this one. He is using word play that has almost gone extinct in hip hop and his delivery has more conviction than ever before. Maybe life was going to well with Kelis at first and now the separation and hefty alimony payments have made him hungry again. Recently, it leaked on the internet that Kanye West and the Rza may be doing his production for his upcoming album. 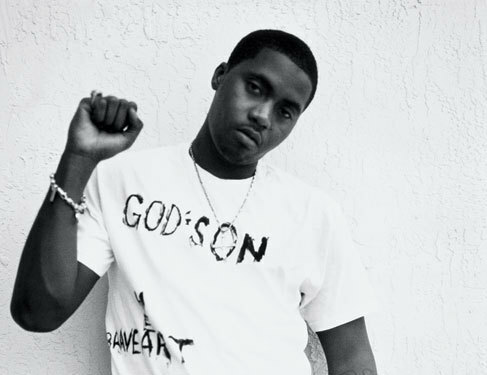 Nas has said it himself “this next solo project is one of the most important records of my life”. If Nas and Kanye can make any more tracks that sound like “We Major” or “Still Dreaming” then we are in for a treat. We all saw what Kanye did for Common’s career after he went too far left with “Electric Circus”. He was able to pump out “Be” and “Finding Forever” which are both classic albums in their own right. Nas’s fan base has stuck with him through it all. He will remain a hip hop legend regardless of what happens on his next album. But after two decades in the game, it’s amazing that he is still relevant and may have not yet hit his peak. Either way we will all welcome the Prodigal Son back with open arms.